Gigi was no where to be found! This is not good. Not good at all. Now I have to be honest, I’m not always the best at looking for lost items. My mom used to tell me not to bother her to help until I had really looked for something three times first. But this just wasn’t one of those times. I was sure of it. 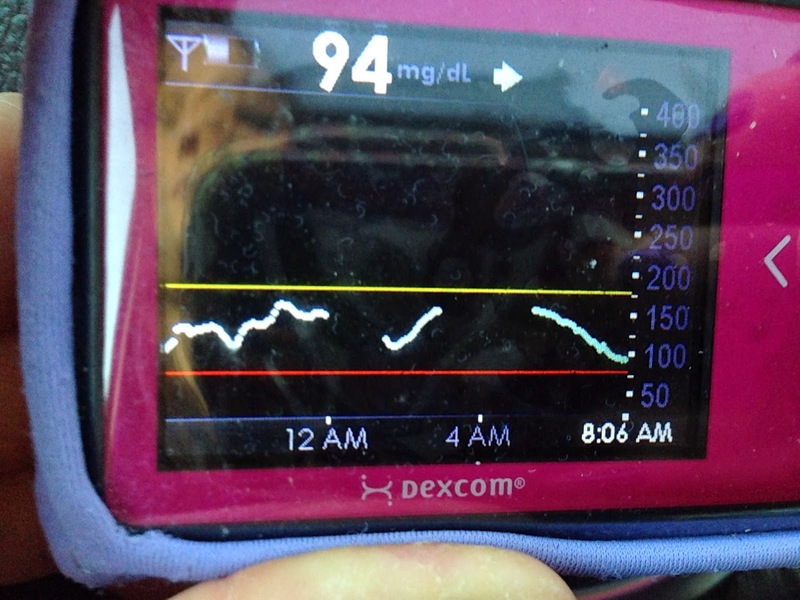 I was getting ready to retire for the night and realized that I had no idea where my CGM was. My first thought was to check my bags. I had a kickball game that night so I checked my kickball bag, I checked my purse, and I checked the bag that held my clothes from changing after work. I checked all my pockets, in my pants and jackets. I couldn’t find it in any of them. I walked over to the couch thinking it may have fallen into the cracks. I lifted all the cushions, but no luck. I checked all the counters, I checked the garbage, I went outside and checked my car. It was lost. What if it fell out of my bag at kickball?! I don’t really remember taking it out of my bag, but what if it’s lying on the grass somewhere? Or maybe it fell out when I was walking to the car! Would someone pick it up? What would they do with it? So far I’ve been really good at keeping track at my medical devices. Granted the pump is connected to me so it’s a little difficult to lose, but I’ve managed to hold on to all my meters and supplies over the years. This just wasn’t like me. I carried all my bags to my room, checking them all a second time. It felt weird to go to sleep without Gigi on my nightstand, but I had a plan. Most nights I hear Gigi vibrating from either having a high or low blood sugar. I would just wait until I heard it vibrate and then figure out where the noise was coming from. And if I didn’t hear it, then I would know it’s not in my room. I would just have to go through the day without Gigi and look again later. I reached my hand into the small outside pocket where I keep my keys, but it wasn’t my keys I grabbed. Gigi!! It must have fallen into that pocket by mistake. I looked through this bag 3 times, how did I miss it?! Relieved and a little embarrassed by my inept searching skills (*sigh* you were right, mom), I crumbled up the note. So it was in my bag the whole time. But why didn’t I hear it vibrate that night?